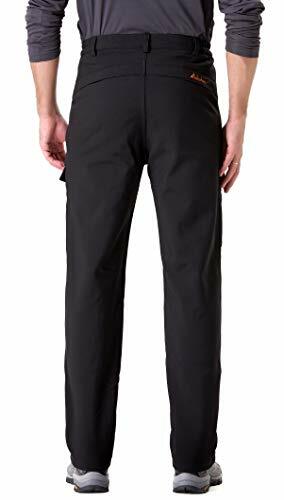 While everyone stays inside locked away from the cold, you are braving the elements with these men’s fleece-lined soft-shell pants from Clothin. 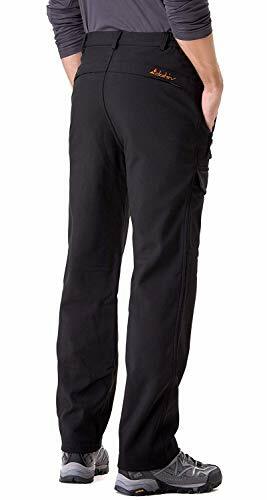 These technical softshell pants are designed to keep you warm, dry and comfortable on the cold wet days outdoors. 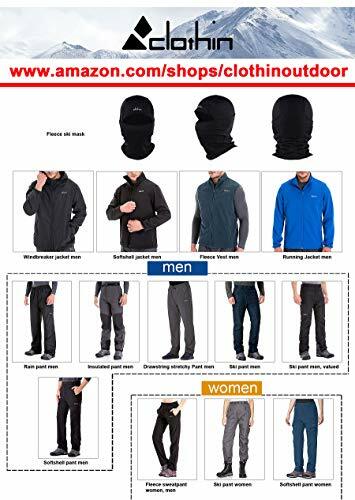 The wind-and weather-resistant exterior repels snow and light rain without sacrificing breathability, while a micro-fleece lining delivers warmth, next-to-skin comfort and moisture-wicking performance. For added functionality, 2 zippered hand pockets, 2 side and 2 back Velcro pockets keep your necessities safe and easily accessible. 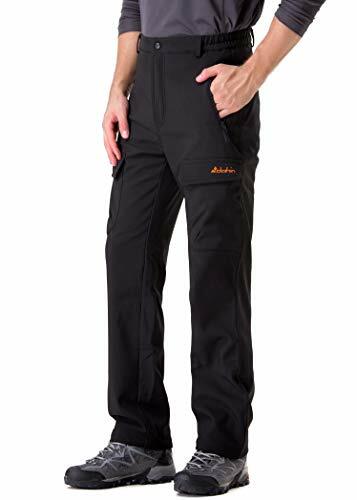 Crafted with partial elastic at waist and belt loops, these pants offer a comfortable secure fit and allow you to customize your fit for any occassion. 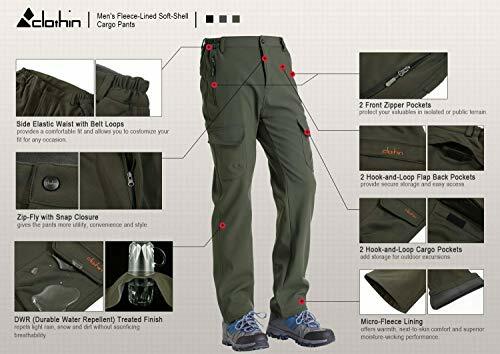 Just as comfortable as your favorite jeans and far more versatile, these pants prepare you for hiking, climbing, ski touring and more – finally, you only have to pack one pair of pants. 1. Due to individual computer monitor settings, actual colors may vary slightly from those you see on your screen. 2. DWR wears (or washes) off over time. CLOTHIN is a company fully dedicated to developing high-performance outerwear and equipment. Our passion for outdoors, product development, quality and craftsmanship drives us to create exceptional products that unite functionality, durability and an on-trend design to keep you dry, warm, cool, protected and stylish. No detail is too small for us to improve upon. Softshell Exterior with Durable Water Repellent Finish – repels rain and snow, cuts the wind. 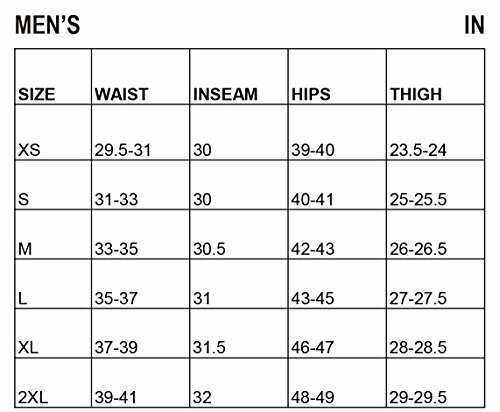 Four – Way – Stretchy – Fabric. Micro-Fleece Lining – offers warmth, next-to-skin comfort and superior moisture-wicking performance. Side Elastic Waist with Belt Loops – provides a comfortable fit and allows you to costomize your fit for any occasion. Zip Fly with Snap Closure – gives the pants more utility, convenience and style. previousA Gift from the Comfort Food Café: Celebrate Christmas in the cosy village of Budbury with the most heartwarming read of 2018!